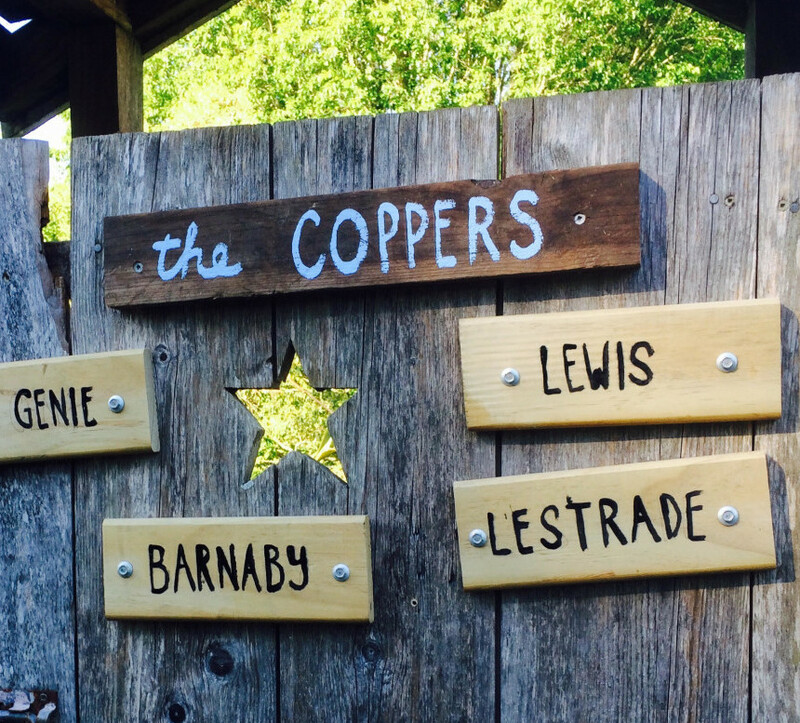 We’ve had some new guests arrive at our wedding venue; The Coppers. A quartet of beautiful Red Shaver Hens, that have been named because of their colour (copper brown) and the fact they look a little like a detective on a fresh crime scene. Incriminating looks, ponderous expressions and some accusational neck thrusting. Holly has named them because her love of British crime shows. We have Barnaby from Midsomer Murders. Lewis from the show by the same name. And one for the true aficionado of British crime drama, Gene Genie from Life On Mars. 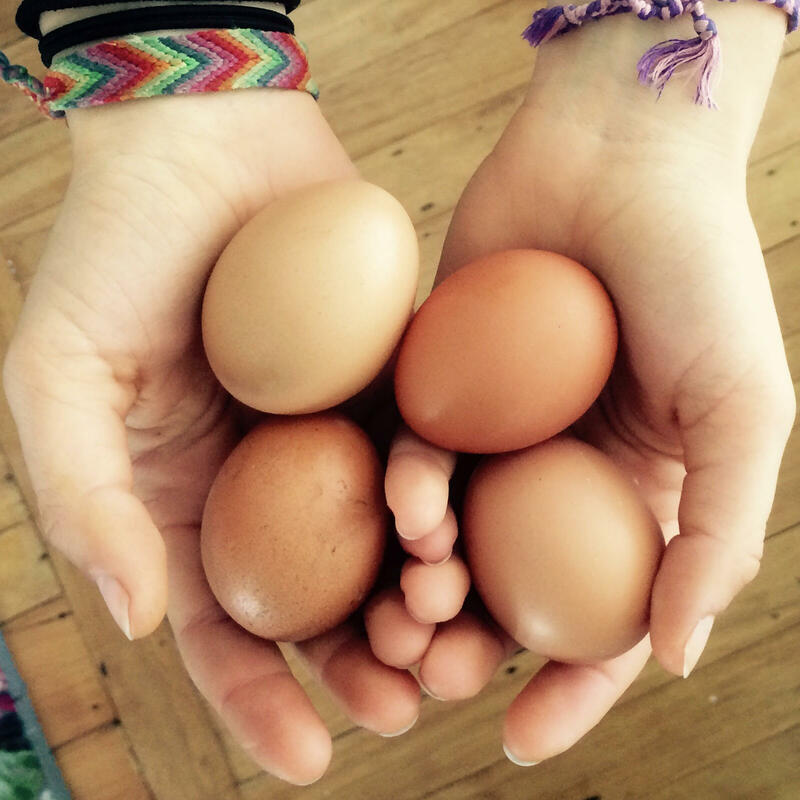 The Coppers have just started laying eggs for us, those clever girls. 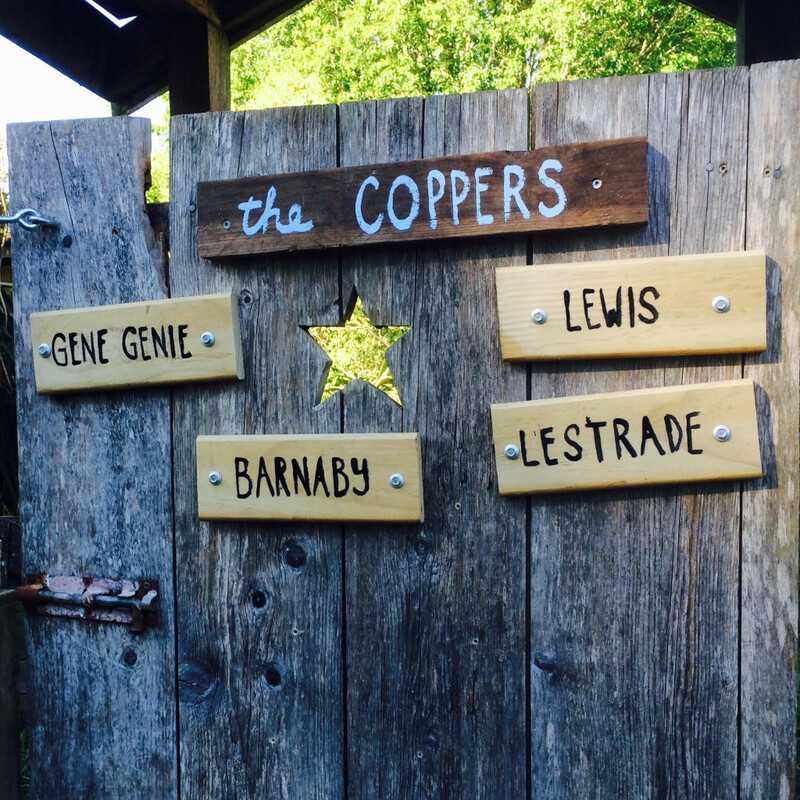 So they now have a brand new sign on the gate of the chicken coop. Look at for them next time you visit Old Forest School, they might be on their beat (free ranging).